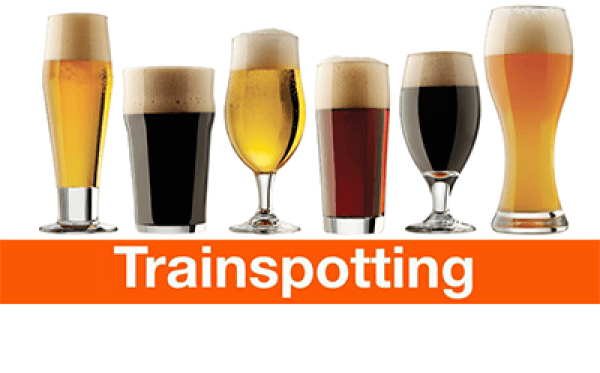 Okay, yes, in case you haven’t seen the movie, this blog post was inspired by one of my all-time favourite films, Trainspotting. The reason being, there is Stout, Porter, Brown Ale, Irish Red Ale, Amber Ale, IPA, Pale Ale, Hefeweizen, Blonde Ale, Pale Larger. We have notes of Chocolate, caramel sweetness, heavily roasted, mildly roasted, balanced hop bitterness, spicy, earthy, crisp and highly bloody carbonated. All this choice and we still drink piss! Alcohol Ads increased 400% in over 40 years in the USA, but Americans are not drinking any more than they use too! ‘Advertising drives choice, not consumption…’ Leaving alcohol marketers feeling great that their well spent money has generated new or loyal customers. Advertising might have little impact on how much we are drinking, though it’s safe to assume that ads are effective at guiding your brand preference. And there we have it, the apple and horse – the marketer and the beer drinker! People will still continue to consume what they know and drink what they see. It will never be an equal playing field for microbreweries to have anywhere near the same marketing budgets as main stream beer monopolies. It will always be down to the people’s choice to explore, to choose different, and to bypass the norm on what they see and drink. Life’s too short to drink a cheap beer, so set it aside, step up and choose yourself and premium craft beer!